Below is the riders' rating of the 2010 E-Ton Matrix R4 150 motorcycle. Buying a bike begins at Bikez! Compare the strengths and weaknesses of this bike with others before you decide on your future bike. Do you have an opinion about the engine performance, reliablity, racing capabilities, touring capabilities, repair and maintenance cost, accident risk, etc? Your fellow riders will value your rating of this bike. We also use the ratings to list the Riders' motorcycle of the year. This motorbike has been rated by 3 persons. 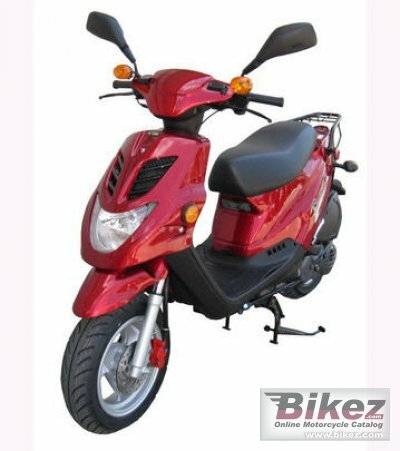 Compare the 10 E-Ton Matrix R4 150 motorcycle with other bikes' rating. Specify year, make and model name. You get a list of models with sufficient votes if you select the year and the brand only and click the "Compare rating"-button.